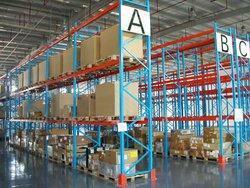 Leading Manufacturer of pallet storage systems and industrial pallet racks from New Delhi. We are backed with the profound professionals in the industry which helps us to produce Pallet Storage Systems. These provide a wide range of application in storage system. 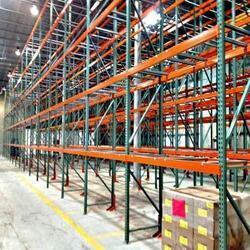 Our Industrial Pallet Racks are highy demanded and used in various applications of industrial storage systems. These are tailored according to the needs of the customers.Our motto is timely delivery and clients satisfaction. In addition to this, client can get the provided products from us at very economical prices. Looking for Pallet Storage Systems ?